Drugmakers are increasingly facing blame from regulators, lawmakers, and the public as the list of lawsuits and investigations at the state and local levels grows. Communications experts are calling on drugmakers to come together in a leadership role to take on the country’s opioid crisis head on, going well beyond compliance with Food and Drug Administration warnings about the addiction risks posed by prescription painkillers. PRWeek contacted more than a dozen major drugmakers with opioid products. They either declined to comment or did not respond to interview requests. However, a number of experts speaking on a not-for-attribution basis say the opioid epidemic has reached a crisis point in part because pharmaceutical companies have failed to pool their resources in a concerted, community-focused effort. Kelly Dencker, EVP and healthcare director at Coyne Public Relations, says the misuse of and addiction to opioids has been an epidemic for years, but has passed a tipping point as it has scourged communities across the country. 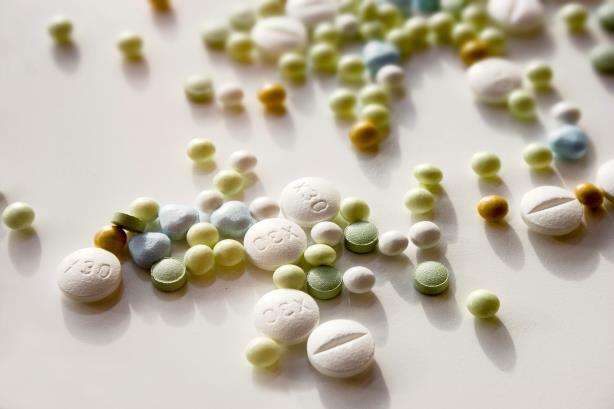 Someone in the U.S. dies from an overdose of a prescription painkiller such as OxyContin or Vicodin every 19 minutes, according to the Centers for Disease Control and Prevention. "There has been this hometown hit. You can’t pick up a local newspaper, turn on the local news, go on social media, or talk to people in communities where there hasn’t been a death of someone in their 20s or 30s because of an overdose," he says. Dencker adds that pharmaceutical companies must step up their drug education and treatment initiatives, and publicly demonstrate they are doing so. "The best pharma can do is to cooperate with authorities and show that they are applying money to education for doctors," he explains. "They also have to show that they support programs that educate people about opioid use, and, most importantly, support programs that help people who have developed a dependency. That is one of the greatest challenges, to identify and treat a dependency before something tragic happens." Drugmakers are increasingly facing blame from regulators, lawmakers, and the public amid a growing list of lawsuits and investigations at the local and state levels. Last month, Ohio filed a lawsuit against five drugmakers, alleging they mispresented the addictive risks of their opioid products to the medical community. The lawsuit is targeting units of Purdue Pharma, Johnson & Johnson, Teva Pharmaceutical Industries, Allergan, and Endo International, accusing them of aiming their communications at general practitioners because they know less about pain management than specialists. Just this week, Massachusetts Attorney General Maura Healey said she is leading a multi-state probe by a bipartisan group of attorneys general into the sales and marketing tactics of opioid drug manufacturers. The Pharmaceutical Research and Manufacturers of America, whose members include Purdue Pharma, Teva, and Allergen, has developed a set of solutions for combatting the epidemic and posted it on its website and social media channels. It also distributed the strategy to stakeholders. The plan calls for drugmakers to "expand public awareness and education efforts focused on the dangers of prescription abuse and not sharing medications with others," as well as increased insurance coverage for a wider range of treatment options. "We feel this is an issue that all health stakeholders have to come to the table and be willing to hear diverse points of view on," says Caitlin Carroll, PhRMA's director of communications. "So we’ve put out a set of pretty robust policy solutions that our member companies support, and we believe that stakeholders can gather around to address all the different driving factors of the problem." At least one pharma company has started a patient awareness campaign. Pacira Pharmaceuticals has launched an online resource called Plan Against Pain, which includes a doctor discussion guide for patients. The company makes a non-opioid local analgesic for postsurgical pain. Amber Sears, senior director of corporate communications at Pacira, says the company built the website as a resource for all treatment options from opioids and non-opioid drugs to cognitive behavioral therapy and acupuncture. She says treating pain is complex and requires a multi-disciplinary approach, and alternative options need to be better communicated to the public. The company launched the site in partnership with the American Society of Enhanced Recovery, and Pacira says it is adding nonprofits and groups to the initiative. BreastCancer.org will begin promoting the site this month, bringing the number of its partners to six. "We’re really trying to build a coalition of like-minded organizations that are supportive of a patient’s right to advocate for alternative treatments," says Sears. "The more people who are endorsing the content on their websites and social media, the more credible it becomes."